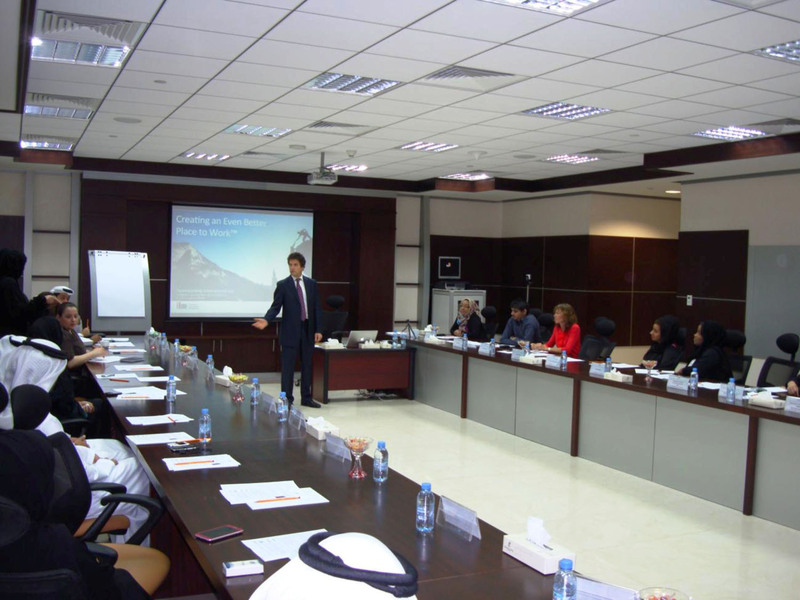 The Emirates Institute for Banking and Financial Studies (EIBFS) holds compliance workshop in Abu Dhabi. Event serves as strategic platform to learn more about compliance risks and strengthen ties with fellow compliance professionals. The Emirates Institute for Banking and Financial Studies (EIBFS), the sole provider of specialized knowledge and enhanced learning experiences for the UAE banking and financial sector, successfully organized a special compliance workshop for banking professionals in the UAE capital at the EIBFS campus in Abu Dhabi. The event served as a strategic platform for members of the UAE banking community to share experiences and knowledge in managing compliance risks while at the same time reinforce ties between fellow compliance professionals. The specialized workshop also included a panel discussion where participants and speakers were able to interact and discuss timely issues and challenges in compliance across the UAE banking scene. The Emirates Institute for Banking and Financial Studies (EIBFS) is the UAE’s sole provider of specialized knowledge and enhanced learning experiences for the local banking and finance sector. Established in 1983, the institution offers a wide range of both training and academic programs that have been developed to meet the needs of the country’s banking, insurance and finance sectors. Bolstered by its vision to become a leading institution that provides world-class education and training in banking and finance at local, regional and international levels, EIBFS has also forged strategic partnership with leading international institutions abroad. With campuses located in Sharjah, Dubai and Abu Dhabi, the institution continues to remain true to its three-fold objective of raising the standard of performance of the banking workforce; qualify UAE nationals for successful careers in the industry and strengthen the country’s pool of skilled nationals. Emirates Institute for Banking and Financial Studies (EIBFS) -holds unique employee engagement and performance improvement workshop. The Emirates Institute for Banking and Financial Studies (EIBFS), the sole provider of specialized knowledge and enhanced learning experiences for the UAE banking and financial sector, and Teamworking International Ltd., the market leaders in corporate training, revealed the successful hosting of ‘An Even Better Place to Work,’ a unique employee engagement and performance improvement workshop, held recently at the EIBFS Campus in Abu Dhabi. The event was highlighted by lively and strategic conversations that taught participants on how to collaborate effectively and help drive up company profit margins while at the same time create a prosperous and highly productive working environment. ‘An Even Better Place to Work’ is the culmination of over 20 years of work in organizations on leadership, culture and engagement issues–sharing best practices and productive initiatives from leading experts. The workshops featured key interactive sessions and discussions that were led and moderated by Tom Flatau, renowned executive coach and speaker from Teamworking International. During the sessions, participants learned how to measure current staff engagement levels and the tools needed to make significant changes; achieve higher ownership levels; reduce levels of people problems; create greater trust and openness between colleagues; develop savings in time, staff absenteeism and people turnover; achieve less financial waste on dysfunctional conflict and how to develop a more effective and productive workforce. “Even in the light of the impact made by the recent economic gridlock, businesses in the Middle East have positioned themselves well on the path to recovery. The workshop sessions we hosted with Teamworking International aimed at giving companies and organizations a one-step advantage from their competition—teaching them on how to increase their profit margins and also on how to create a working environment that increases productivity and improves efficiencies. The high number of participants and the positive responses we received have given us the inspiration to connect closely with the local business segment and live up to our commitment of providing them with more specialized trainings and workshops,” concluded Jamal Al Jasmi, Director General, EIBFS. The Emirates Institute for Banking and Financial Studies (EIBFS) is the UAE’s sole provider of specialized knowledge and enhanced learning experiences for the local banking and finance sector. Established in 1983, the institution offers a wide range of both training and academic programs that have been developed to meet the needs of the country’s banking, insurance and finance sectors. Bolstered by its vision to become a leading institution that provides world-class education and training in banking and finance at local, regional and international levels, EIBFS has also forged strategic partnership with leading international institutions abroad. With campuses located in Sharjah, Dubai and Abu Dhabi, the institution continues to remain true to its three-fold objective of raising the standard of performance of the banking workforce; qualify UAE nationals for successful careers in the industry and strenghten the country’s pool of skilled nationals. GCC student population to sustain 1.8 per cent CAGR to reach 11.3 million by 2020. The student population in the GCC has been steadily increasing over the years and is expected to sustain a 1.8 per cent compounded annual growth rate (CAGR) within a 10-year period to reach 11.3 million in 2020 from 9.5 million in 2010. The rising number of students has strongly influenced the increase in demand for higher education in the region, particularly in the UAE which has been aggressively encouraging private sector investments, thereby establishing the country’s private education sector as the biggest in the region with an estimated value of USD 2.8 billion. With studies showing that 95 per cent of all females and 80 per cent of all males enrolled in the final year of secondary school applying for admission to a higher education institution in the country and abroad, the UAE naturally attracts the largest number of high-profile academic institutions from all over the world. GETEX Autumn 2012, a dedicated platform to showcase the widest range of top-quality academic, vocational and training programs from leading regional and international schools, is one of the key initiatives supporting the sustained growth of the academic sector in the UAE and across the GCC. 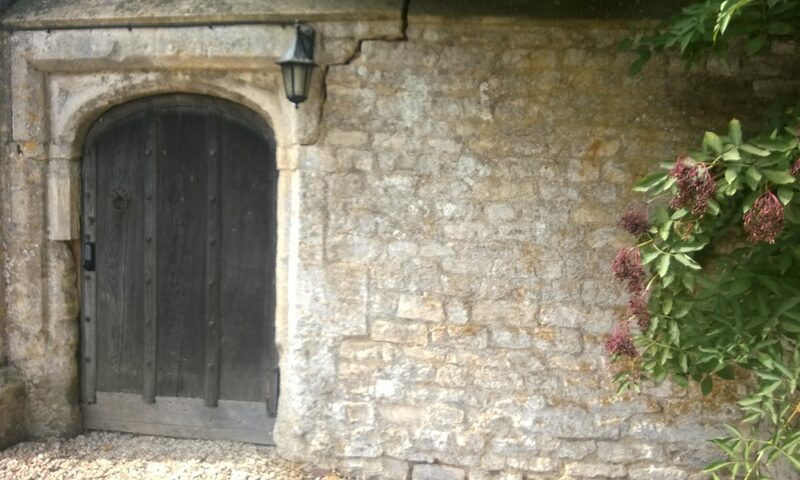 Organised under the patronage of H.H. Sheikh Nahyan bin Mubarak Al Nahyan, the UAE Minister of Higher Education, GETEX Autumn 2012 will run from 21st to 23rdNovember 2012, at the Dubai International Convention and Exhibition Centre. GETEX Autumn 2012 will showcase a wide selection of Higher Education and Professional Development programs, including graduate and postgraduate degrees along with vocational and professional courses. New to the event this year is the Global Business School Fair featuring a collection of MBA schools from across the world looking to meet with potential UAE-based postgraduate students. The Global Business School Fair will host a Business Seminar that will provide students with resources to help them make sound career choices, while enhancing their employment potential in both the public and private sectors. Complementing the Abu Dhabi Vision 2030 development plan’s focus on further raising local standards of education, ALHOSN University has assembled a prestigious lineup of educators from 36 countries that will instill the institution’s vision of ‘global knowledge with local vision’ during the 2012 Fall Semester. The Vision 2030 framework aims to bring in more expertise from abroad to reinforce Abu Dhabi’s education sector and ensure that the curriculum and quality of delivery are at par with the world’s best. 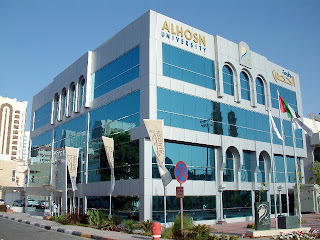 ALHOSN has taken this approach to heart by welcoming onboard academicians from all over the world who are highly qualified to impart the skills necessary for students – especially Emiratis who form 60 per cent of the university’s population – to become productive contributors to the formal economy and society as a whole. To meet the specific needs of its students, ALHOSN has developed nineteen undergraduate and graduate programs in Engineering, Business, and Education. All these programs have received accreditation from the Ministry of Higher Education and Scientific Research in the UAE, and several have also been granted accreditation from prestigious professional international accreditation boards. ALHOSN has announced that it will be accepting applicants for the upcoming 2012 Fall Semester during its ‘Registration Weeks’ from September 2nd to 23rd. To spice up the registration period, the university will offer scholarships, raffle off free Admission fees, and launch exciting campaigns on Facebook and other key social networks. ALHOSN will also continue its advocacy of encouraging more women to participate in technical fields such as Mechanical, Industrial and Civil Engineering by offering special scholarships. There are currently about 200 new incoming students already registered, with more expected to follow in the coming two weeks. Classes are scheduled to begin on Sunday, September 9th. “We also want to maintain an equal-opportunity environment and fill the gender gap in some professions in the UAE and the region, by encouraging our female students to pursue Engineering degrees such as Civil Engineering, and Industrial Engineering” Prof. Sabouni added. ALHOSN University has been experiencing a remarkable period of growth which has seen its student body grow to more than 1,600 at the start of Fall Semester. This year’s graduating class is expected to top the previous year’s class of 250 graduates. ALHOSN continues to reap praises for equipping both UAE Nationals as well as expat students from around the world with skills and competencies above and beyond those sought by the organizations they have joined.
. The Chinese delegation included the Vice President of the university, Professor Yan Bing, Director of Party Committee Office, Professor Wang Yini, Director of Human Resources Department, Professor Guo Hongyang, Deputy Director of Academic Affairs Department, Li Song, and Associate Researcher at the Department of International Cooperation and Exchange, Huang Danqing. The Open University of China, established in 1979, carries out distance educational activities using an integration of three networks, including a satellite TV network, computer network, and people’s network. With over 5 million students and 80,000 faculty members, OUC is the largest open and distance education system in the world. Dr. Mansoor al Awar, Chancellor of Hamdan Bin Mohammed e-University, led the discussion accompanied by Dr. Narimane Hadj Hamou, Assistant Chancellor for Learning and Academic Development and several administrative and academic faculty members. 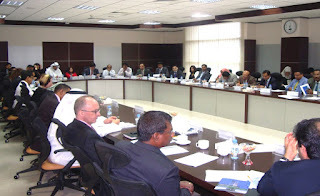 The topics discussed revolved around exploring opportunities for collaboration between the two universities in the areas of research and development, establishing a virtual research center, offering specialized training courses for the faculty of OUC, co-operation with HBMeU’s publishing house, and academic exchange mechanism. HBMeU and OUC share similar primary objectives, one of which is to provide opportunities of higher education for professionals in different industries and enterprises and other members of the society; to conduct non-degree education through on-the-job training and training for practical skills; and providing educational services for people from all walks of life to update their own knowledge and to learn new skills. As part of the visit, the OUC team toured the HBMeU premises, including the auditorium, virtual video studios, class rooms, computer labs, and library, and met with several academic faculty members. The OUC team praised the efforts of HBMeU management, particularly highlighting its commitment to ensure education for all members of the society. Towards the end of the visit, Dr. Mansoor Al Awar thanked Professor Yan Bing for approaching HBMeU to collaborate and exchange knowledge between the two universities in the areas of mutual interest. From his side Professor Bing extended an invitation to Dr. Al Awar and his team to visit OUC and meet with the rest of the management team in China. HBMeU is the first e-learning institute in the Arab World that was established with the vision to develop a new learning process through the implementation of learning practices characterised by flexibility, quality and diversity to strengthen self-leadership among learners and prepare them socially and academically for a future career through integration in the job market. HBMeU’s philosophy is based on vital methods that have been developed through extensive research and development by specialists from all over the world. These methods include offering high quality programs, supporting the pursuit of lifelong learning, promoting the freedom of information, reinforcing the culture of excellence and innovation and providing education for everyone in line with the highest standards of comprehensiveness and credibility. The university seeks to constantly identify knowledge needs, support research and development programs and create an outstanding environment for e-learning. In line with its strategy to promote a culture of excellence, innovation and creativity, Dubai Judicial Institute (DJI), a leading centre for legal studies and judicial training in Dubai and a member of the General Network for Government Communication, today (Thursday, May 24, 2012) organised a special ceremony to honour its strategic partners whose contributions enabled DJI to successfully achieve its strategic plan for 2011. The plan focused on promoting the ongoing training and development programs, leveraging the best judicial practices and establishing agreements and partnerships with key local, regional and global institutions and authorities to serve the Emirati community. Held at the DJI premises, the ceremony reflected the Institute’s commitment to reward partners from the media, governmental bodies, academia and the business community for their support towards various training initiatives undertaken by DJI. The training programs are aimed at boosting efficiencies at the national level by emphasizing on the highest standards of integrity, while reaffirming the role of law in achieving comprehensive development, which in turn positively impacts the community as a whole. Moreover, DJI also honoured the authors and researchers for their intellectual work in the fields of law and justice, which enabled DJI to bring out 16 new publications, along with 83 research and study papers in various fields of UAE law. During the event, honorary plaques were presented to prominent media and government bodies, including the Dubai Attorney General, Dubai Police, Dubai Courts, Department of Economic Development, DIFC Courts, Dubai Customs and Mohammed bin Rashid Center for Leadership Development. Several judges, DJI employees, volunteers from Ajman University and members of DJI’s Scientific Council were also honoured for their supporting role and excellent performance. The Dubai Judicial Institute was established in 1996 to help educate and train aspiring judges, prosecutors and their assistants, legal experts and lawyers. DJI also offers habilitation programs for public prosecutors to enhance their efficiency. The Institute provides training and consultancy services to various public and private sector agencies and institutions and conducts local, regional and global research and studies on all areas of law and jurisdiction. For more information about DJI, please visit www.facebook.com/dubaijudicial, www.twitter.com/dubaijudicial. Video clips about DJI are also available on www.youtube.com/dubaijudicial.